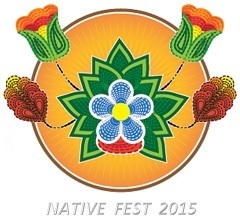 Native Fest 2015, will feature Native American Writing, Performance, Artistic Cooking & History events that will provide exposure for the Artist to showcase their works and for local and regional public to enjoy. Keith Secola introduces Shane Drift who shares his second script he wrote. This script is based on stories told to him from events in the community. Maurice provides musical entertainment at the Writer's Event held in Nett Lake, Mn. Maurice shares this song that was the first he learned. Maurice Chosa Champaign sings this song that tells the story about his grandmother and one of her daughters. Maurice sings a song about his dogsledding experience. Kim was an invited writer to an evening event held in Nett lake, to share her history and some of her poems. She begins with the poem 'Family Tree'.